I know it's absurd, but I'll be performing in Waiting for Godot in 2016. 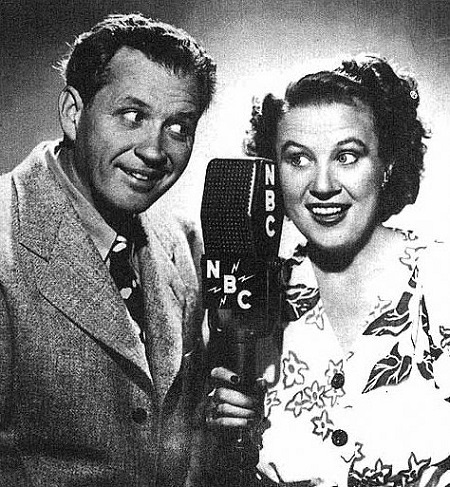 Tom Cherry’s Old Time Radio Show wraps up its fourth season this Saturday by presenting the comic hi-jinxes of Fibber McGee and Molly as well as a new action packed episode of The Adventures of Giraffe Man! Starring Sean Orlosky, Sean Heline, Bob Green, Missy Donahue, Angela Gick, Jeff Rapkin, our soundman and soundwoman, Jerry and Judy Cole, and our special guest stars, Lauren Donahue and Thomas Nelson III! Plus a lucky audience member will play It Pays to be Ignorant and the singing talents of Sean Heline and Lauren Donahue will be featured! We'll also be offering our second annual Leftover Buffet, a smorgasbord of snacks, treats, and other delicious goodies. All audience members are encouraged to partake and participate! It costs a dollar for the show, but the buffet is free! That’s December 26th at the Farmland Community Center (100 North Main Street, Farmland, IN) @ 3:00 pm! Call 765-468-7631 for more information. Radio fun for everyone! Not exactly a caricature of Marcia Wallace, but a quick drawing of her character from The Bob Newhart Show.